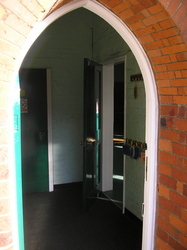 The Parish Church Hall is owned by the Diocese of Rochester, but operated as a public venue by its own committee. It is a delightful little building, part of Borough Green's history, and for a time was the Primary School. Its regular daytime use is by the Brightstart Playgroup, and evening use by a range of local groups. 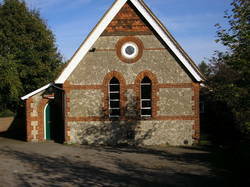 It was originally built in 1875 as the Infants School. 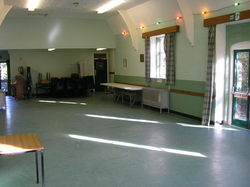 The main hall is ideal for meetings and dances up to 100 people, or "seated" events up to 90. It is perfect for smaller wedding receptions, dances and children's parties. There is a kitchen as part of the package. Parties/weddings All-day booking 10am-11.30pm: £130 inclusive. Returnable security deposit with booking :£100. Car parking 12 tight spaces. Maybe a couple more of you're all very friendly. 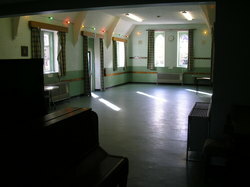 The kitchen comes as part of the package with a Main Hall booking. 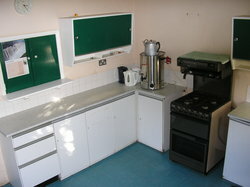 It is fully fitted with a gas cooker, and a serving hatch to the Hall, but no fridge. A wide variety of crockery supplied, but check your needs when booking. 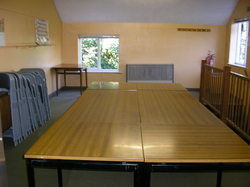 The upstairs committee room has a completely seperate access, but is not available to rent at present.